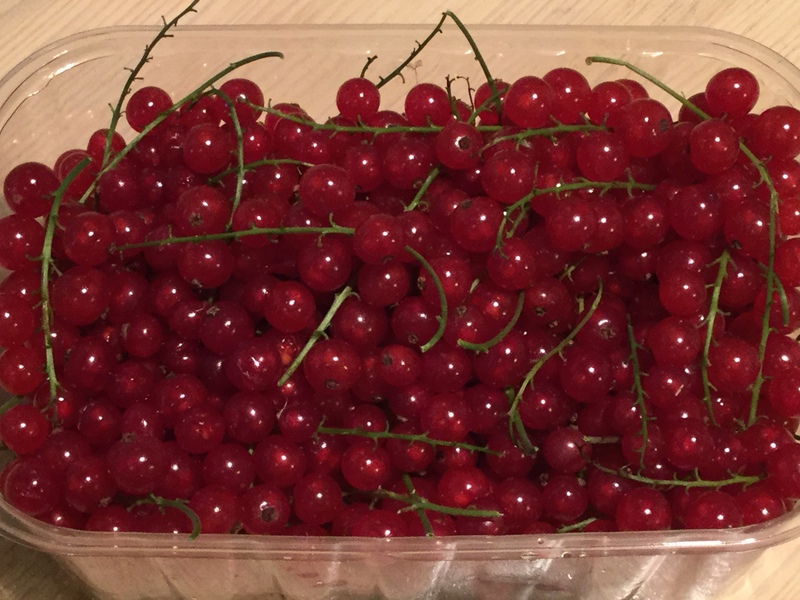 I picked redcurrants a few weeks ago and made another batch of spiced redcurrant jelly. From the field to the jar within 24 hours – perfect! The jelly will be delicious with roast lamb or venison or I use it to enrich a game gravy. 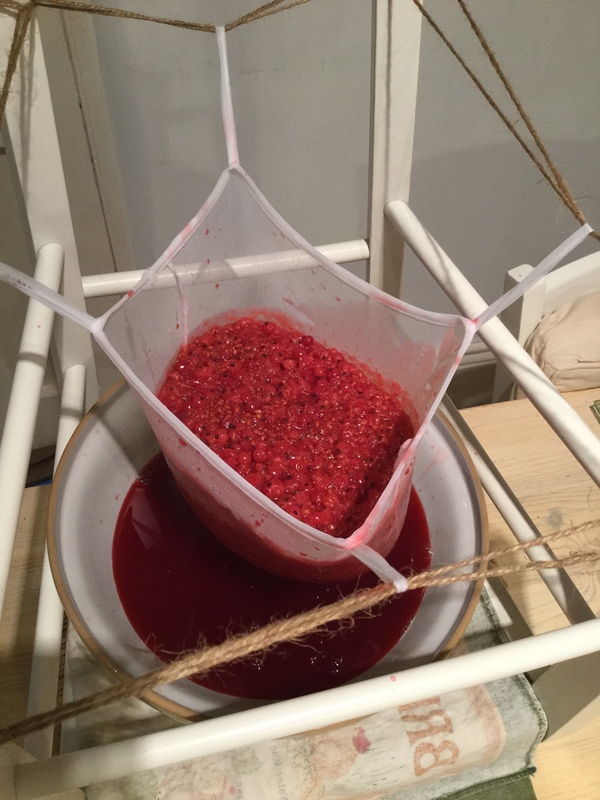 As I don’t own a stand for the jelly straining bag, I go for an upturned chair and bits of string – this works just as well! The jelly has white wine vinegar added to give it extra flavour as well as cinnamon and cloves. 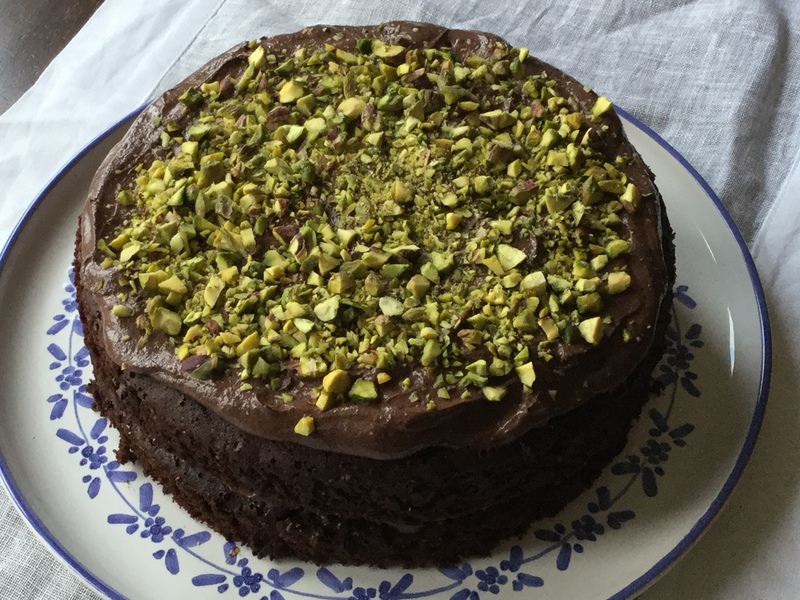 Here is another cake made with grated courgette – please don’t stop reading now! This one is gluten free as it is made with rice flour and ground pistachio nuts. The sponge contains cocoa powder for a rich, dark chocolate flavour and it is sandwiched together with a cocoa flavoured butter cream. The grated courgette keep the sponge moist and the ground pistachio nuts give it a slight crunch. It seems strange to make a cake with vegetables and then say you can’t tell that they are there but don’t be put off – this is a delicious cake!